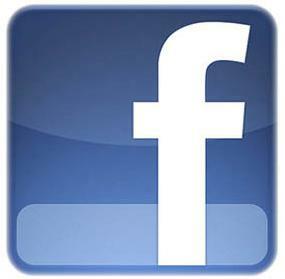 Did you know Shoreline Community College is on Facebook? Does Technology Support Services need a Facebook page? If you think so let us know. SCC staff and faculty may purchase Office 2010 via the Home Use Program for $9.95. For more information on the Microsoft Home Use Program please contact TSS at tss@shoreline.edu. Whether your personal computer is running Windows 7, XP, Vista or your personal computer is a MAC running OS X, TSS strongly recommends using antivirus protection. For Windows, our recommendation is Microsoft Security Essentials 4. For Mac OS X users our recommendation is Sophos Anti-Virus for Mac Home Edition. To secure your Internet connection set your home router or personal computer to use OpenDNS Home, FamilyShield, or Home VIP. OpenDNS makes web browsing safer by filtering out phishing and other malicious sites, it speeds up your browsing experience, and it allows you to customize the filtering for of objectionable sites. If you're a techie you may also want to check out DNSCrypt for Mac and Windows which further protects your online communications which may be of special concern when using unsecure Wi-Fi. Security works best in layers so don't rely on just one form of protection for your computer. To that end be sure to keep your computer updated with patches for the products you use. This is especially important for Adobe Flash and Oracle Java. To help with the task FileHippo.com provides an update checker for Windows and AppFresh provides a similar tool for OS X. Maintenance on the HP 9000 site-to-site VPN connection was successful and is complete. TSS has a twitter account @SCC_TSS to complement this blog. Together these will serve to alert the campus community of information related to new services, network and email interuptions, and other issues that may be affecting computing services. You may subscribe to this blog via email or RSS feed. As well, this blog is optimized for mobile devices. The VPN connection to the HP 9000 server hosted at SBCTC's datacenter may be unavailable for a short time on Monday starting at 5:00pm. The maintenance may affect FMS, MIS, SMS, FAM, and PPMS. The work should not take any longer than 15 minutes. If there is any reason that this date and time creates an issue for you please contact the TSS helpdesk at tss@shoreline.edu or call 206-546-5872.